Gacrux / Gamma Crucis 2? smaller than the red supergiant Betelgeuse, at left. The star's proper name of Gacrux, like Acrux, may have been created from its Greek letter Bayer designation by the astronomer, Elijah Hinsdale Burritt (1794-1838), the author of several editions of an Atlas of the Heavens published between 1833 and 1856. This second magnitude star is the 24th brightest (and the brightest red giant) in Earth's night sky. According to Robert Burnham, Jr. (1931-93), Gacrux has an annual proper motion of 0.27" in PA 175° and a radial velocity of 13 miles (21 km) per second in recession. For a time, observers believed that Gacrux had a faint, bluish white (A3 V) binary companion lying within two minutes of arc that is still designated in the SIMBAD Astronomical Database and the Yale Bright Star Catalogue, 1991 5th Revised Edition as Gamma Crucis B (HR 4764 or HD 108925). However, the star now appears to be a optical companion as astronomers now believe that it lies four times farther away from Sol than Gacrux. 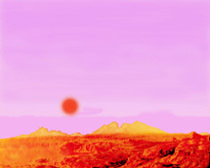 Professor Jim Kaler notes in his Stars page on Gacrux that, from a planet around the A-type star, it would appear as if Sol is a binary companion of Gacrux. In addition to the A3 star, Gacrux has two other visual companions that are not gravitationally bound. 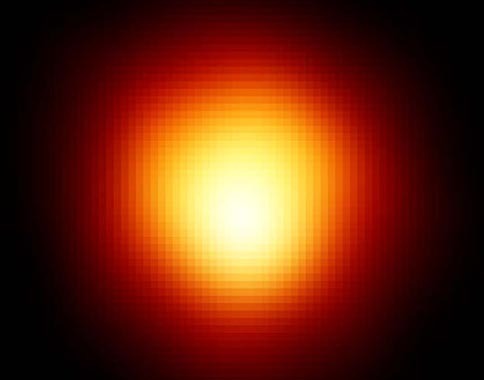 Gacrux is a cool red giant star of spectral and luminosity type M3.5 III (but was once thought to be a "bright giant" of luminosity type II). The star may have as much as three times Sol's mass, as much as 113 times its diameter, and about 140 times Sol's visual luminosity (based on a HIPPARCOS Johnson Vmag of 1.59 at 87.9 ly). It may have around 1,500 times Sol's luminosity including infrared radiation (according to calculations by Professor Jim Kaler -- see his Stars page on Gacrux). 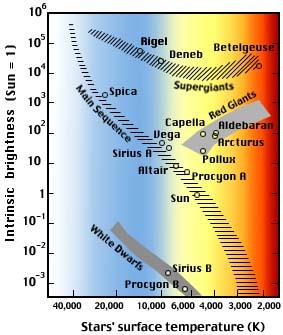 Given Gacrux's high mass, the star would have been a spectral type B dwarf before it evolved out of the main sequence. Gacrux has been found to be variable by a few tenths of a magnitude. It is defined to be a "semi-regular variable" of less than 90 days, but its variability is not quite predictable (Murdoch et al, 1992). The star has been given the New Suspected Variable designation of NSV 5672. Useful catalogue numbers and designations for Gacrux include: Gam Cru A, HR 4763*, Gl 470, Hip 61084, HD 108903, CD-56 4504, CP(D)-56 5272, SAO 240019, FK5 468, LTT 4752, WDS 12312-5707 A, Dunlop 124 A, and ADS 5672 A. 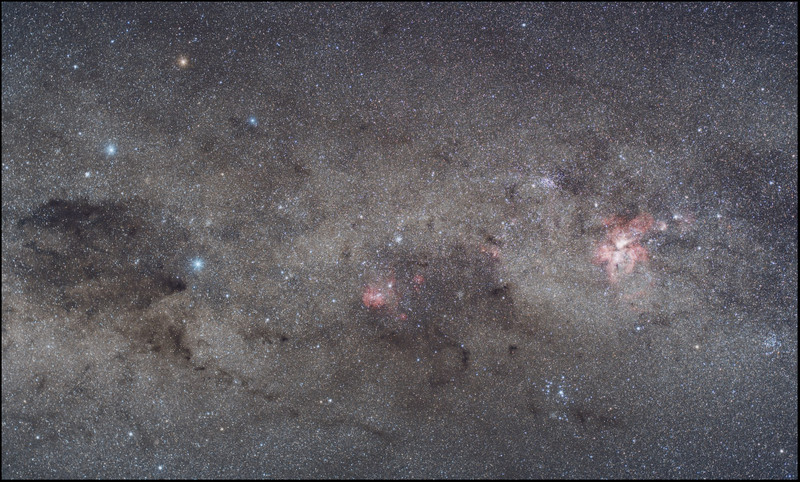 Although it is now considered to be a single star, Gacrux may actually have a binary companion. It has long been known that the outer layer of Gacrux is contaminated with barium and other elements which are formed by the slow capture of neutrons. Such "barium stars" may be binaries, where a more massive companion has already thrown off its outer gas envelopes as a planetary nebula in becoming a white dwarf (see HD 147513 AB). In casting off its outer layers, however, such an evolved companion star would have contaminated Gacrux with the later by-products of its more advanced nuclear processes. Hence, as a "mild" barium star, Gacrux is believed to have an unseen white dwarf companion, like Alphard (Alpha Hydrae) (Mennessier et al, 1997). 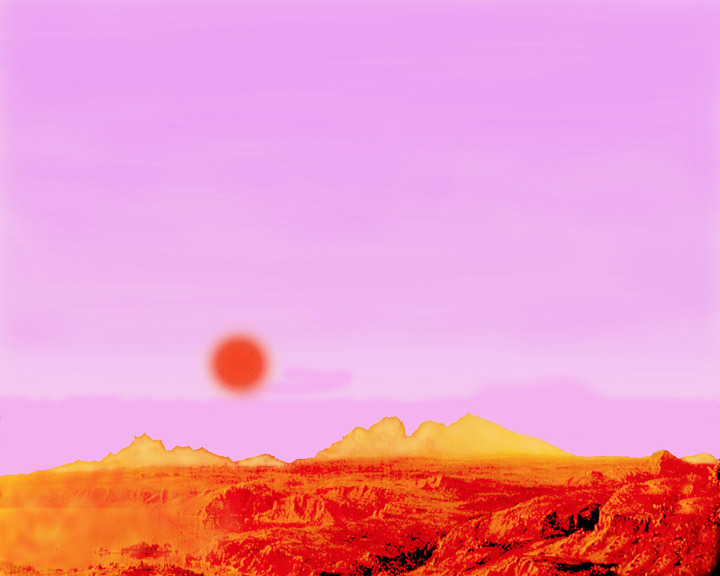 Given the short life of massive B-type stars, it is highly unlikely that an Earth-type planet with advanced multi-cellular life could have developed in Gacrux's water zone before it left the main sequence. By now, moreover, any Earth-type planets that orbited Aldebaran A during its youth would have been burnt to a cinder, and possibly fallen into the star from frictional drag with the giant star's gaseous envelope. Astronomers would find it very difficult to detect an Earth-sized planet around this star using present methods. 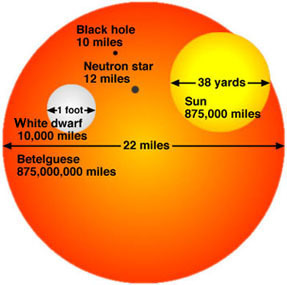 As a star that has evolved out of the "main sequence," Gacrux has shifted fully from the fusion of hydrogen to helium at its core to the fusion of helium to carbon and oxygen, with trace activity of other nuclear processes. This helium-burning, orange-red giant stage is relatively brief, lasting tens to hundreds of million years (e.g., lasting around 700 million years for a star of one Solar mass). Gacrux, however, appears to be more highly evolved than nearby giant stars: Aldebaran, Arcturus, Capella, and Pollux. The star is blowing a strong but variable wind (Mullen et al, 1998). As a result, Gacrux may have passed the helium-burning "clump" giant stage. It may now be entering the "asymptotic" or "second-ascent" giant stage, where it is becoming brighter for the second time. Mira image and other images of variables). According to Jim Kaler's description of the theoretical predictions of second ascent in Stars, once core helium is used up in creating a huge ball of carbon and oxygen, the star will collapse inward again. In theory, however, stars like Gacrux with less than four times the mass of Sol are unable to ignite and sustain core carbon burning. Eventually, gravitational compression again will cause the internal temperature until the hydrogen shell around the now inert core begins to fuse into helium, which settles into a middle layer. 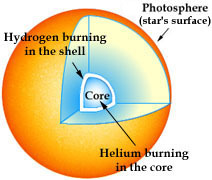 As the star's outer layer begins to swell from the heat of renewed hydrogen fusion before cooling from expanion, this hydrogen-burning zone moves outward, cools, and shuts down while its underlying of helium begins to fuse in turn. When the helium is again used up, the outer hydrogen-shell contracts and re-ignites to create fresh helium which falls inward until this new helium shell explosively ignites. These hydrogen- and helium-burning shells then switch off and on quicker and quicker, and the star attains a new peak of luminosity and size. 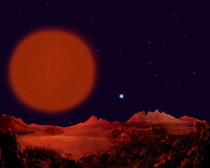 The swelling of the star's outer gas envelope also cools the surface, however, which makes the star look redder. As a second-ascent giant brightens, the star's outer gas layers become unstable, and it may begin to "valve" its outgoing radiative energy by pulsating which also changes its brightness. Due to its immense size, however, this pulsation may months or years to complete. Eventually, Gacrux may become a dramatic pulsating variable like Mira (Omicron Ceti A, more from Astronomy Picture of the Day). (more discussion with illustration). Like Mira, Gacrux may have a white dwarf companion. Pulsations, however, explain only part of Mira-type variability. Astronomers recently verified that titanium oxide in the outer atmosphere of a Mira-type giant star's absorbs its light, causing it to swell up and dim. By increasing the opacity of the star's atmosphere, light radiating outwards from the hotter, inner regions of the star is absorbed, and only light coming from the outer, cooler layers of the star escapes. Moreover, as a giant star swells, the temperature of its outer gas envelope falls, and so less light is produced there. The result can be a thousand-fold reduction in visible light (more discussion with illustration). Presumably, the strong stellar wind emitted by giant stars eventually blows the titanium oxide out of the star's outer regions (along with hydrogen and helium gases and dust made of elements and molecules like carbon) into interstellar space, until vigorous convection brings out more titanium and oxygen that are created from nuclear processes deeper in the star. This hypothesized, much dimmer (and as yet unseen) companion is probably a white dwarf (DA3? /VII). Once more massive and brighter than Gacrux and so burnt out much faster, it is now probably a few hundred times fainter than Sol, with 0.6 to 1.4 times its mass and less than one percent of its diameter -- a very dense object at planetary size. While tiny compared to main sequence stars, white dwarf stars are actually intensely hot, but without the internal heat of fusion to keep them burning, they gradually cool and fade away. The following table includes all star systems known to be located within 10 light-years (ly), plus more bright stars within 10 to 20 ly, of Gacrux. Try Professor Jim Kaler's Stars site for other information about Gacrux at the University of Illinois' Department of Astronomy. An up-to-date technical summary on this star can be found at the Astronomiches Rechen-Institut at Heidelberg's ARICNS page on Gacrux. Additional information is available from www.alcyone.de's page on Gacrux. 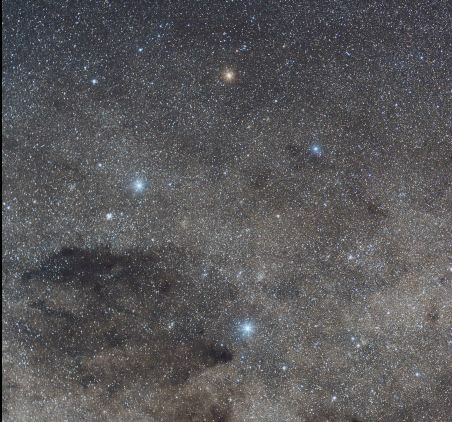 Constellation Crux, the Southern Cross, is not visible from much of the northern hemisphere and so there is little traditional Western mythology associated with its four large stars. As noted by Ptolemy in Egypt where it was visible, the cross stars were considered to be a part of the Constellation Centaurus (the Centaur), which now surrounds it on three sides. In the venerable Star Names: Their Lore and Meaning, Richard Hinckley Allen noted that Johann Bayer (1572-1625) defined Constellation Crux (which had been a "theme of much description for nearly two centuries" before an erroneous attribution of its invention by Royer in 1679) by outlining it over the hind feet of the Centaur: Alpha at the foot and Gamma at the top, with Beta and Delta as the transverse. For more information about the stars and objects in this constellation and an illustration, go to Christine Kronberg's Crux. For another illustration, see David Haworth's Crux.